A few years ago, the content research team at G2 Crowd underwent a significant reworking of its project management processes. Yours truly was able to experience the pain points, hurdles and wins that the team went through as we transitioned from an almost nonexistent project management structure to a process-oriented one. Our team saw a few iterations of tools, strategies and methodologies before landing on our current processes. We even went through a few versions of what our daily scrums should look like, which required a vetting of each team member’s productivity levels. So how did we get to our current project management process? We took a hard look at what was working and what wasn’t when it came to efficiencies and productivity, and decided to take a leaf out of our development team’s book. As related to project management software, we briefly discussed the difference between agile and waterfall project management methodologies. Now, we will dig into the differences between agile and scrum methodologies, or rather, the significant distinction between agile, the encompassing framework for approaching project management, and scrum, an application of agile. Agile project management, also referred to as agile software development methodology, welcomes and encourages changing work priorities based on daily feedback and developments. It allows developers and team members to remain nimble, freeing them from the constraints of the more traditional, linear-based methodologies like waterfall project management. In the same way that a work breakdown structure breaks down the deliverables of a project into manageable tasks, agile focuses on the incremental progress of a project and allows room for change and opportunity. Agile does away with the too-thorough initial planning of the entire project. Teams and companies that implement an agile-based strategy deliberately embark upon the project understanding that things will and must change via constant feedback, setbacks and other disruptions. By doing so, team leaders can get ahead of or quickly respond to any roadblocks. How? Because agile emphasizes time and supporting team members to get X number of tasks completed by the end of the designated period of time. The agile approach is rooted in the Agile Manifesto, which came into being in 2001, and outlines the 12 most important guiding principles to effectively manage software development teams. The Agile Manifesto was the formalized result of the ideas and values of a group of 17 independent thinkers who wanted to disrupt the traditionally accepted work production cycle. All 12 principles revolve around the manifesto’s core, which trumpets collaboration, a hands-on approach and the ability to productively pivot in order to best build software applications. Notably, agile is no longer restricted to the world of software development. One popular application of the agile framework is scrum. Other agile approaches to project management include kanban (read more about kanban vs. scrum), lean software development, extreme programming (XP), and feature driven development (FDD). By following an agile philosophy when it comes to managing projects and teams, all involved parties can ensure that the ensuing product aligns with the desired goal. Instead of wasting weeks or months on a finished product that doesn’t satisfy the wants of a customer, client or shareholder, the team can adapt and adjust as needed. For example, “alpha” and “beta” are monikers for products that haven’t reached the end of a software release life cycle. Alpha and beta products require validation from end users, because the products need user testing results to identify comprehensive functionality before a full release. 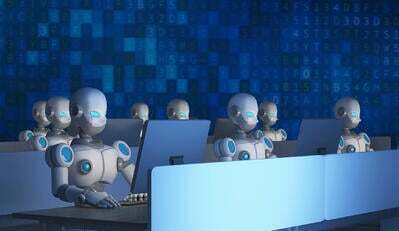 Product teams and software creators ostensibly plug the results of that feedback into updated, non-”buggy” versions before making the solutions available to the public to buy. Agile makes such software release life cycles exist. Fresh eyes on a project or product generally reveals any issues that developers can develop blinders about. The very clear con, however, is that a beta product can spend an undetermined number of years on the market before they’re fully release or never get fully released at all. However, the agile framework of project management is still worth checking out because it helps companies remain competitive within their market. Technically, agile project management software doesn’t exist, per se. Because agile is a framework and sensibility more than a methodology, any agile “software” is really a tool that is an application of the type of agile-oriented approach of your choosing. For example, kanban boards can exist within your agile arsenal, should you opt for the kanban style of agile project management. As mentioned above, scrum is one example approach of an agile project management strategy. The scrum methodology provides structure and by-the-books rules to the concept of agile. Distinct roles and events exist within a scrum. On top of that, scrums are built to constantly improve both product progress itself and team member productivity and efficiency. Scrum is iterative (“an ongoing cycle of designing, developing, testing, rinse and repeat,” per Search Software Quality), which is a development term. Within a scrum, work is split up into “sprints,” short, specific periods of time (usually two weeks long) wherein X number of tasks are assigned with the expectation that those tasks will be completed by the end of the sprint. Each sprint is planned out according to team member bandwidth and prioritization, so some spillover is accommodated. There are no gaps in between sprints. After Sprint 1 is Sprint 2, Sprint 3, and so on, and so forth, until entire projects are finally completed and the end product is delivered. Scrum, therefore, is an ideal format for project scope and workflow that is prone-to-changes, has flexible requirements or is reliant on knowledge creation and team collaboration. 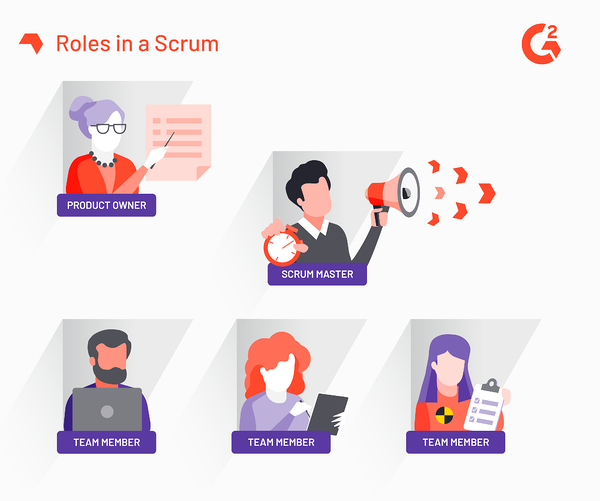 Three distinct roles exist within the scrum team. Multiple people may encompass each role. Product owner — Product/project visionary. The product owner is the being (usually a project coordinator or manager) who instigates the entire project. In other words, they control all the strings throughout the duration of the project. Notably, the product owner should not be the one coordinating the microdetails of the project. While the product owner is responsible for reviewing and reprioritizing the project as it progresses, they must leave the management aspect of the scrum to the scrum master. 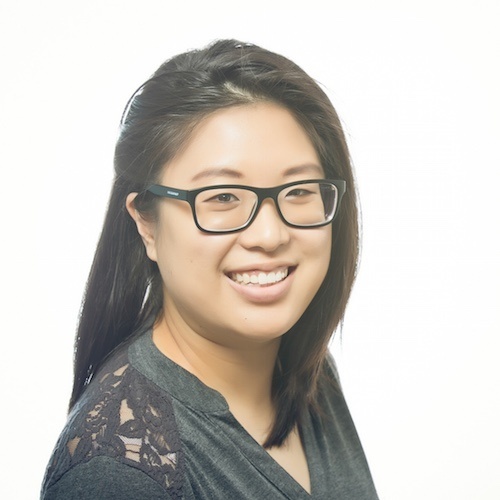 Scrum master — Coordinator and facilitator of product/project. The most obvious, front-facing responsibility of a scrum master is running all the requisite meetings and events that take place during a scrum. In a nutshell, the scrum master serves as both a coach and mediator for the entire team. The scrum master ensures the product owner’s vision remains intact, as well as supports the individual team members to make sure that they can produce the best work in the timeliest of manners as possible. 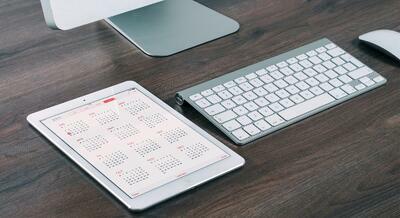 Team members — Individuals who work on the product/project on a daily basis. They take direction from both the product owner and scrum master so they remain on track, but they should also be self-motivated, equipped with the skills necessary to execute the project/product. Scrum requires structure. That structure is made up of specific meetings or events that help build up the scrum to its most productive self. Sprint — A predetermined amount of time (usually two weeks) full of assigned tasks for each team member. Sprints are “time-boxed,” which simply means the allocation of planned activity during a fixed time period. 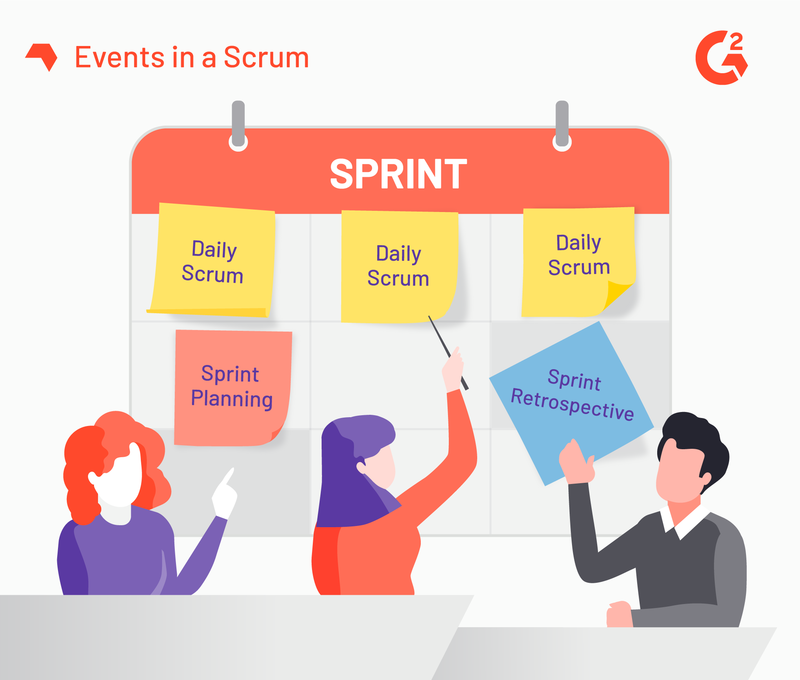 Sprints must be planned, ensuring that both product owner and scrum master effectively split up elements of an overall project into manageable, achievable tasks. Daily scrum — Also referred to as daily “standups,” daily scrums exist so team members can report on tasks accomplished the previous day, what is on their plate for the current day and any significant blockers that must be addressed. Daily scrums also serve to remind the team about overall goals and provide the necessary support. Sprint planning — Led by the scrum master, work expectations are set for the upcoming sprint during this session. Planning takes into consideration the product backlog, the tasks that are most likely to or have spilled over from the previous tasks, individual team members’ bandwidth and top-down expectations of product deliverables. Sprint review/retrospective — Sprint reviews usually happen at the end of the sprint but can also kick off a new sprint. Essentially, sprint reviews provide teams with the space to look at product/project progress, give and receive feedback and all get on the same page about the current status of the project. Retrospectives are conducted at the reviews. It is through retrospectives that the team can discuss and identify areas of improvement, efficiency and productivity. Scrum promotes collaboration and rewards self-motivation. While those may sound like opposite ideas, the success of the project/product hinges on the ability for individual team members to contribute equally. The collaboration aspects come from the inevitable cross-functionalism of a scrum structure and all parties involved. The dependable, predictable structure of scrums helps keep all parties on track because roles are so defined and transparent. The downside to scrum structure is either the cropping up of scope creep or poor sprint planning. Sprint planning is key to protecting the output of team members and when scrum masters and/or product owners don’t take note, then the entire project can become compromised. So, is there really a difference between agile and scrum? Aside from the niceties of “agile” versus “scrum” (i.e., the fact that scrum is a type of agile-based project management methodology), there are some other slight differences between agile and scrum that are important to note during your research for the most suitable solution. 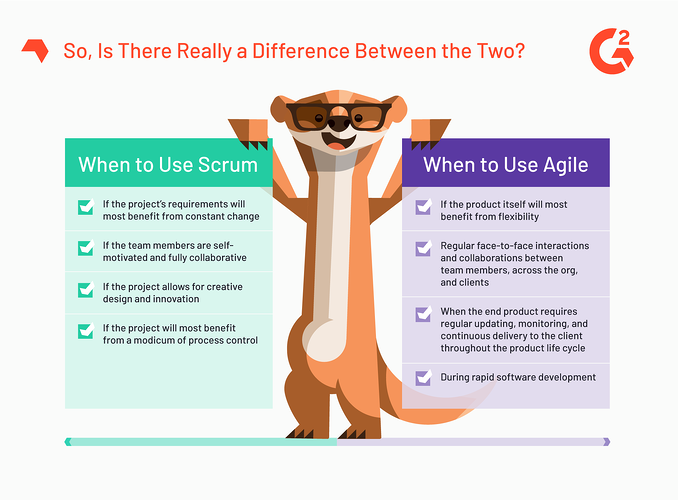 Because scrum is one of the many agile-based approaches a team can implement in order to revitalize and optimize its project processes, the query “agile or scrum?” isn’t a straightforward one. The first thing your team needs to determine is whether it will benefit from an agile approach to project management. Second, determine whether the team will benefit better from the scrum application or from another agile-based methodology. Team dynamics, client expectations, trends in communication and realistic output must all be considered before a specific solution or software is chosen. Ready to choose software? 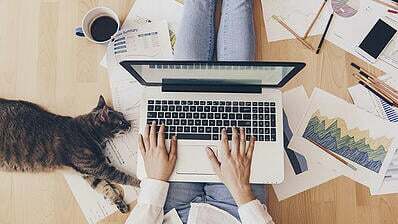 Check out the best free project management software solutions in 2019! So, Is There Really a Difference Between the Two?